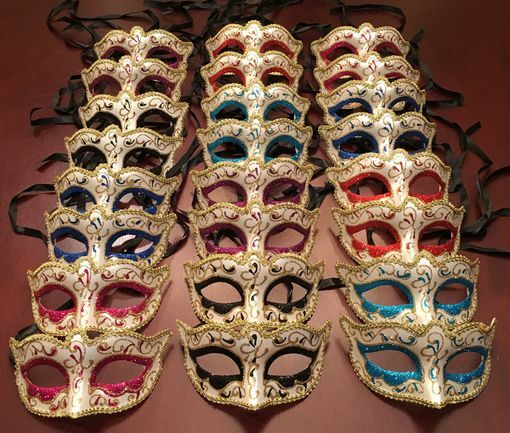 Capannino Venetian masks are hand painted and glittered. Mask pack comes with 24 assorted colored masks. Masks are made of a high quality non bendable PVC and come with black ribbon ties.